It is Manya’s dream to be Shere Khan in her school play, The Jungle Book. She knows all the dialogues backwards and she’s sure there cannot be a more fierce Shere Khan. But her classmates, who make fun of her stammer and her English teacher don’t think so. 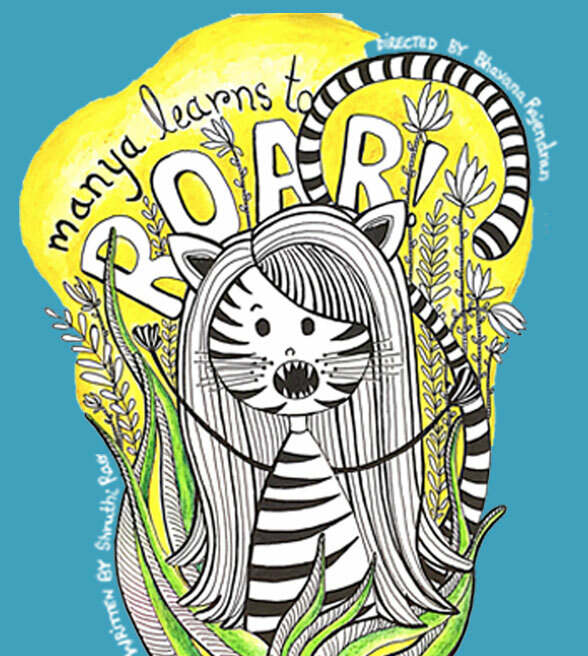 Manya Learns to Roar looks at what it means to be Manya and the turmoils of a ten year old, who knows her own mind and doesn't let her stammering get in the way of her dreams. It focuses on how important it is to create an inclusive environment for every child where differences are accepted, understood and celebrated.